Look for this eggs graphic, which will be hidden on three random pages on SCC's website on Monday, April 15. When you find the graphic, click on it and fill out the short form that pops up (the one on this page is not a hidden egg). In addition to the actual eggs hidden around the Macon and Jackson Campuses - as well as the Swain Center - three virtual eggs will be hidden on random pages throughout our website. 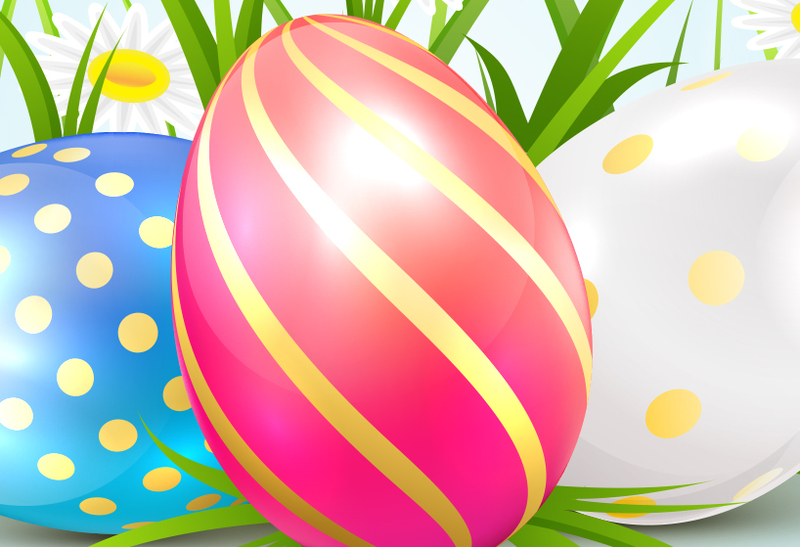 All eggs will be hidden by 8 a.m. on Monday, April 15. Finding them won’t be easy as we've got more than 3,000 pages on our website. However, the payoff would make the web-surfing worthwhile: Two of the eggs will be worth $5, and the grand-prize egg will earn $25. An email to the official “Egg Hunt Judge” will be generated when a hunter clicks on each egg and fills out a short form with contact info. The first individual to generate an email from each egg will win the dollar amount designated on that particular egg. This competition is only open to SCC students; an SCC ID is required to claim money.